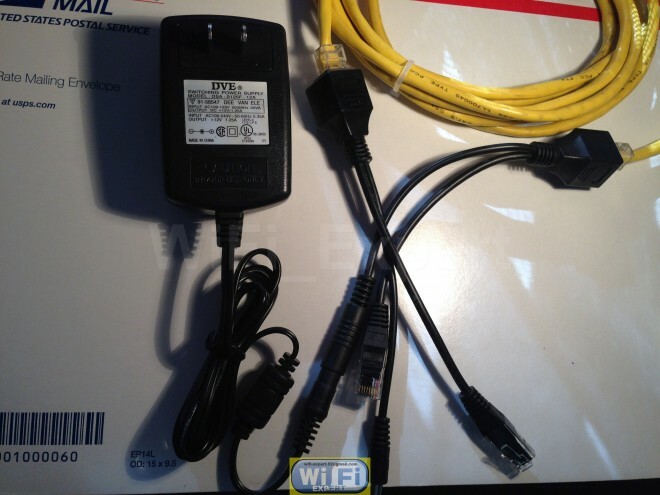 includes: 1 (One) SET – 12V 1.25AMP Power over Ethernet Passive PoE Adapter Kit with 25 Feet of Cat5e cable USA. If you need shorter cable please let us know. This system allows one of the routers to be on the same network and powered by supplied power supply. This is perfect for outdoor antenna like Yagi or BiQuad and so on. If you not sure how to use this please contact us. Quantity: 1 Kit = (1) 12V 1.25AMP Power Supply (1) Injector + (1) Splitter (1) 25 Foot Cat5e shielded outdoor cable. Color = Black, Cat5e cable may vary in color but usually will be Gray. Brand new and high quality. Comes with full factory warranty. If the adapter fails with in first 90 days simply return it for full refund or exchange. You will get exactly the same adapter as shown on the picture. This is a 12V kit that will work for most of the routers. 25 Feet cable is supplied, please contact us for custom length.